Nothing satisfies a really big steak appetite like the Hill’s Home Market Porterhouse. It’s like having a whole Filet Mignon and NY Strip on your plate at the same time – all with the flavor enhancing bone left in. 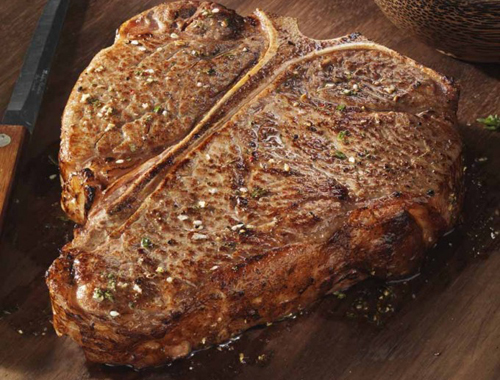 Substantial flavor makes the Porterhouse the ultimate steak for the true connoisseur.